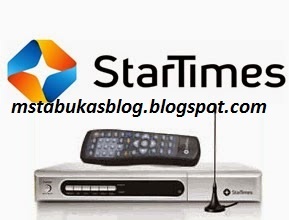 One of the major advantages of Startimes is that the cable TV doesn’t get affected by bad weather, it is very affordable and it doesn’t require a dish, but unfortunately some subscribers have complained about experiencing poor signal during viewing. This is because unlike other cable TV providers startimes uses a terrestrial broadcast mast to deliver TV signals, this is something similar to the technology used by domestic TV stations. Therefore, subscribers who reside far away from the broadcast station may experience weak or no signal even while using the internal antenna. If you recently purchased a star-time decoder and you are experiencing such an issue, in this post I will show you how you can boost signal strength and increase the picture quality of your viewing. Firstly, I will like to advise that you check to make sure your internal antenna is properly connected. Check that it is connected to the “Ant In” port on the decoder. Then you can also try searching for a signal by adjusting the internal antenna around your TV set. If that doesn’t work out, then the internal antenna is not strong enough to get a good signal, you will need to purchase an external (outdoor) antenna. Startime dealers’ nationwide advice subscribers to get a YAGI antenna, in case of technical difficulties like this. The outdoor antenna should be mounted properly at a very good height, this is important for quality service. Then connect the antenna into the “Ant In” port of your startimes decoder. If done properly, you ‘ill now experience an improved reception on your TV set. If you are still experiencing “NO Service” on your startimes decoder after properly installing an external antenna you can try to fix this problem by restoring initial settings on your decoder. To do this first make sure the green light on the decoder is ON. On your remote control, press Settings (Blue button) to do Default settings, then select YES option and OK.
You will now see a message (Restore Initial Data) on the screen, select YES and OK. The decoder will now automatically restart, and you will now get full signal on your startime decoder. If you are still experiencing “NO Service” on your startimes decoder after following these steps, then it means startimes services isn’t functioning in your state.